This is a FREE seminar. All materials are provided for those attending. Everyone is welcome, though it is recommended that attendees should be 12 years and up. 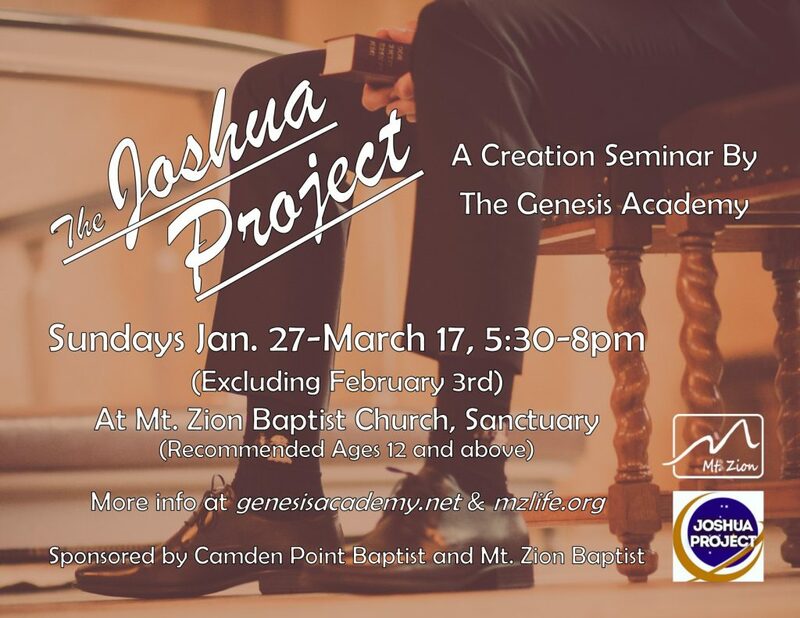 *The Creation Seminar will not be meeting on February 3rd. **If you are a Mt. Zion Member, please park in the lower CLC parking lot and walk up through the CLC to the sanctuary if you are able.